Konga is one of the top online shopping sites in Nigeria. 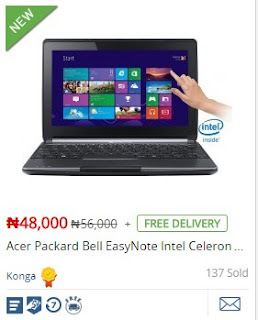 In terms of sales and Quality delivery, Konga can be said to be among the top rated if not the best in the country. There are thousands of items and products from top foreign and local brands that can be purchased from Konga and you get the option of Payment on Delivery with zero complains (based on experience).